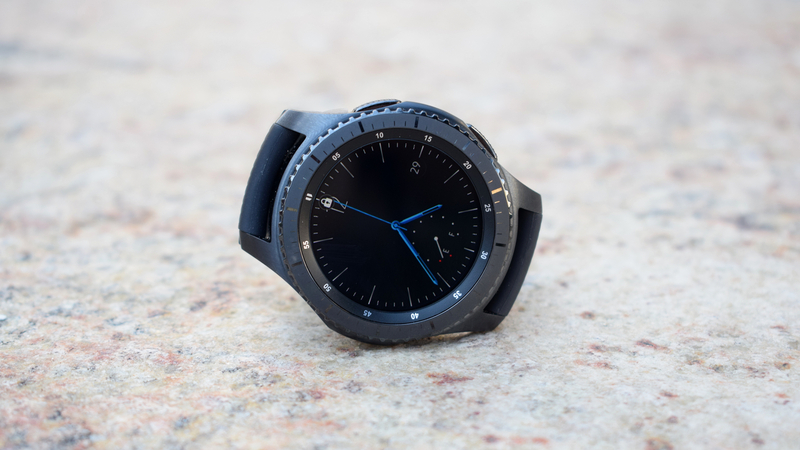 This week, we learned that Fitbit is working on a sleep apnea tracking device, Emporio Armani's Connected Android Wear smartwatch is launching in September this year and Samsung got a one up on the Apple Watch and Android Wear by bringing offline playback to the Gear S3 Spotify app. Withings also completed its branding transition into Nokia, unveiling a new scale and the BPM+ portable blood pressure monitor at the same time. Hive unveiled a new smart camera that barks like a dog and Snapchat nabbed some awards for Spectacles. There were plenty of wearable news tidbits as well that didn't make it onto homepage, but don't worry, we've given them some love below. Don't forget to head over to our dedicated news section for the rest of the week's headline stories. Most of the time you have your smartwatch on, you have your smartphone in your pocket. If you're in a real bind, wouldn't it be interesting if you could somehow use them to charge each other? Well, Samsung certainly thinks so. The company has filed a patent for a smartphone case that would charge your Gear smartwatch by resting it on top. The case uses a USB-C cable to plug into the phone, providing power to the case, which in turn provides power to the watch. All that's missing is wirelessly charging your smartphone while you do this. Like wireless charging inception. One of the more exciting announcements around watchOS 4 is that you'll be able to tap your Apple Watch onto gym equipment at your local gym to sync workout information. While we know that watchOS 4 is due out in September, the time it usually arrives, we don't know when that compatible gym equipment would arrive. TechRadar reports that equipment will start rolling out to gyms in September, so you can rush out to the gym as soon as you download watchOS 4. The NBA still isn't too high on wearable devices, but that hasn't stopped the league's Minnesota Timberwolves with signing a deal with Fitbit. The fitness tracker company will sponsor the team's jerseys, and the team will get a whole bunch of Fitbits for both athletes and staff. The WNBA's Minnesota Lynx will get to wear the Fitbit's more than the men's team, and fans will be able to easily log concession food from the Timberwolves' Target Center in their apps. It's a win, win, win off the court. Dash buttons made their way to the UK last July, but now they're really getting going. 20 brand new Dash buttons were unveiled this week. There's one from Heineken, so you can quickly re-order all the beer you need. There's Duracell, since you'll always need batteries. There's IAMS, because your pets are important. And a host of many more. Just don't get too carried away, OK?